On Wednesday, I went to a #frugal15 lunch with a group of fellow frugalistas. 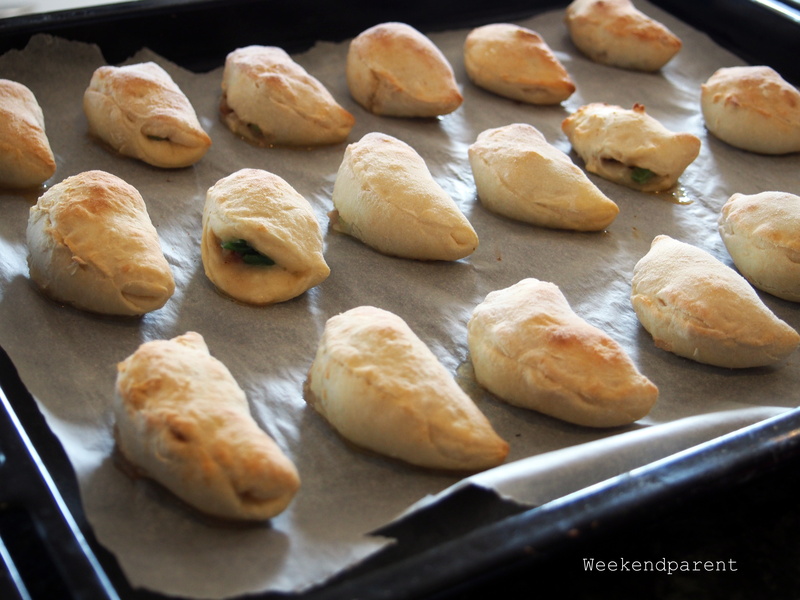 And not having much in the fridge to take, I whipped up a batch of these impromptu beef crescent pastries to take with me. #frugal15 is the creation of friend and blogger Cider Teak. She has a savings goal for 2015 that she labels #frugal15. She also hosts a ‘frugal’ lunch on the 15th day of each month. This was the first time I was invited and I was really stoked to be included. So liberating being able to be ‘open’ about being frugal, and to chat with other frugalistas! So much creativity and passion to share, and empowerment about how the frugal lifestyle gives greater choices. I had a bit of a cold this week, and my kids were recovering from their own colds and flus and were a bit ratty. So I didn’t go to an awful lot of effort for baking. Yet these still looked impressive. Fresh out of the oven they are light and pillowy. They are still fine the next day but, like pizza, they toughen slightly. I think I will make them again. They would be prefect for a picnic. 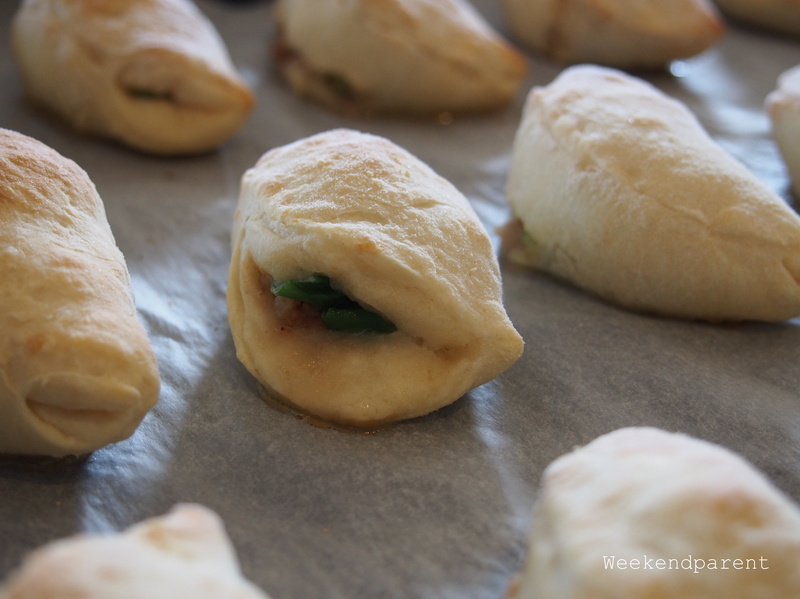 These are beef based, but you could easily make a vegetarian versions with say spinach & feta cheese. Add the salt to the yoghurt and mix. 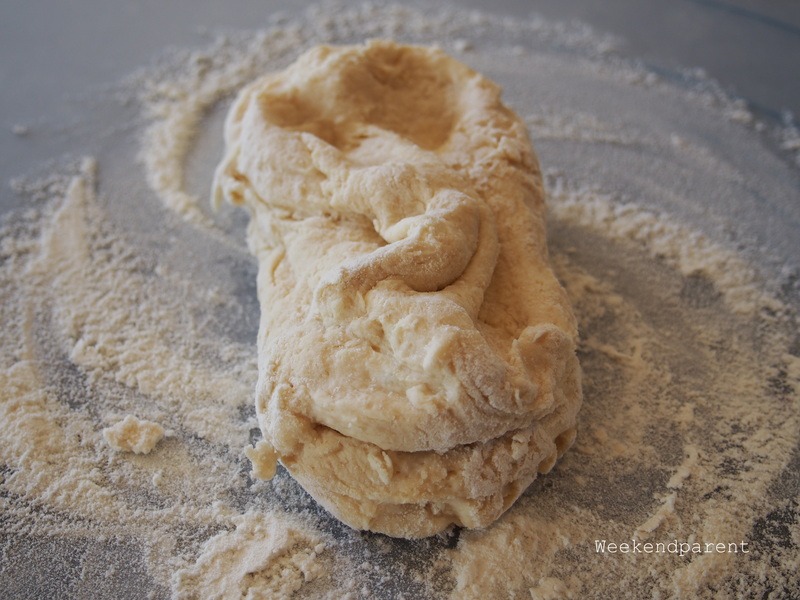 Stir in the flour until it forms a sticky paste, then knead (adding more flour if necessary) until it forms a ball. Put aside in a cling-wrap covered bowl for half an hour or longer. 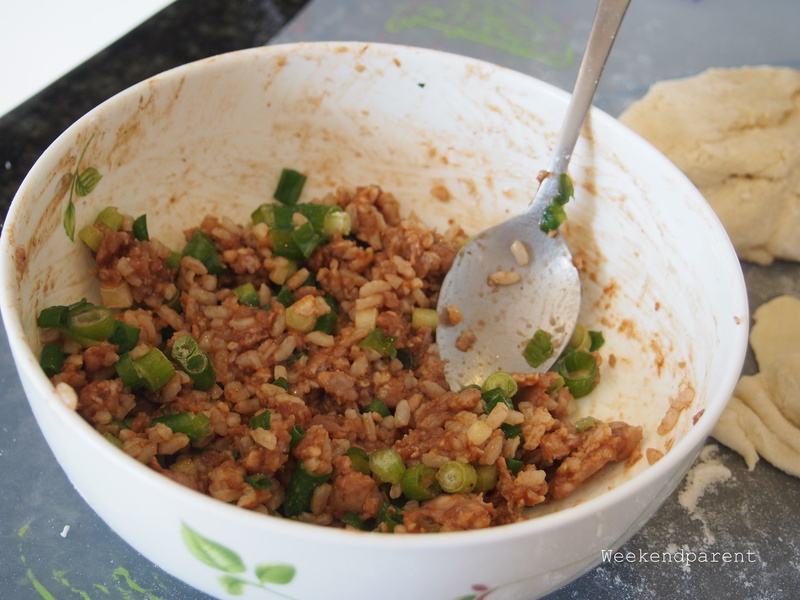 Meanwhile, flake out the minced meat and stir in the rice, sauces and shallots. 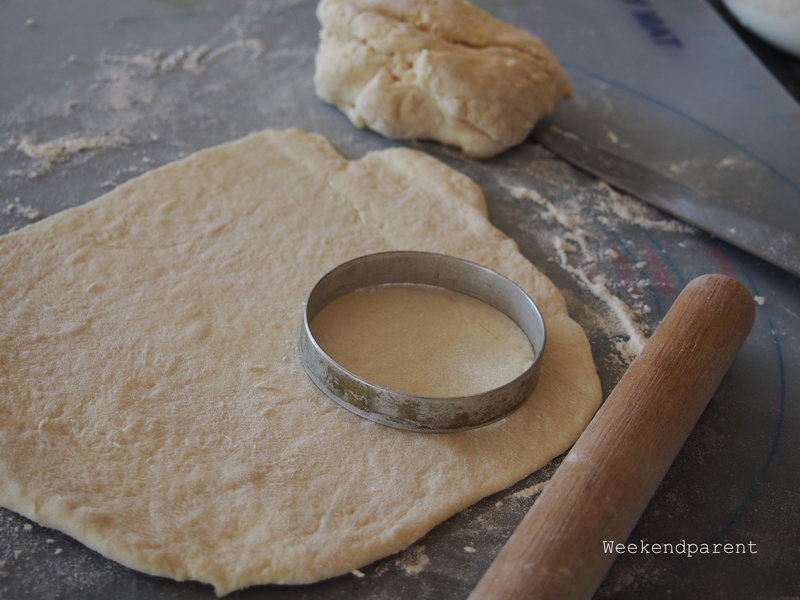 On a floured board, roll out the pastry until it is around 5mm thin. 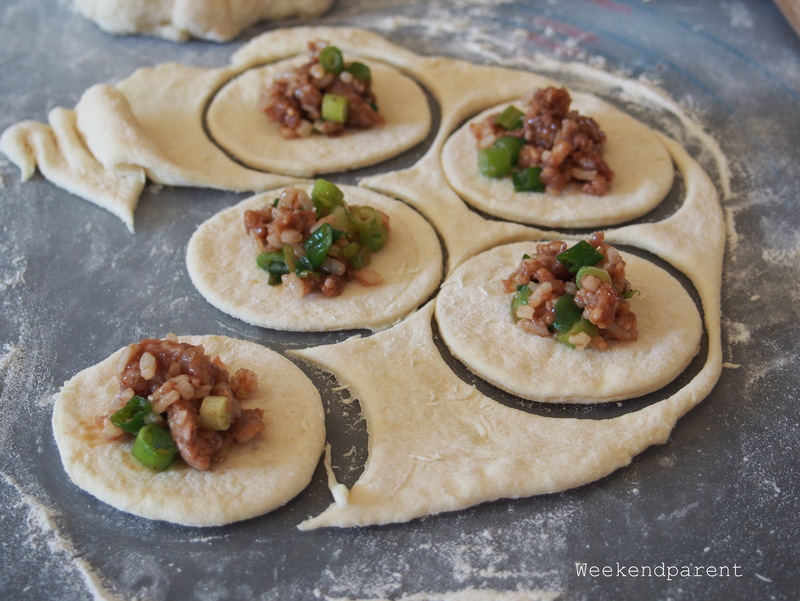 It will expand slightly with cooking, but you still want something quite robust so aim for something that is thinner than a pizza crust but thicker than a wonton. Using an egg ring or a rimmed glass, cut out circles. Add a small amount of mixture to each circle, and pinch the edges together to form a crescent shape. 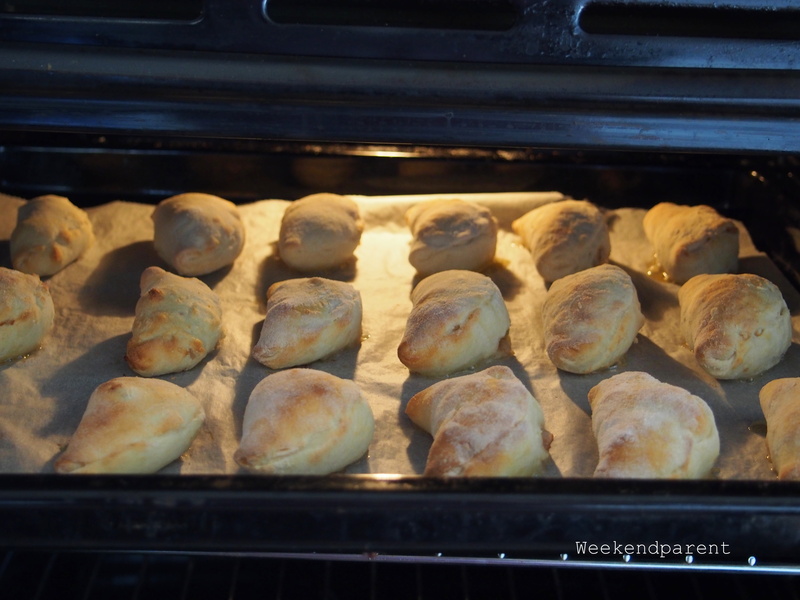 Bake in a hot oven around 170C for 15 to 20 minutes until golden brown and puffy. Hint: buy extra shallots when they are on special. Cut off the tails, soak in water for a short time then plant out in the garden. They will resprout and provide a bountiful harvest for a long time to come. Shallots also freeze well and can be used as garnishes in hot soups and to add to stir-fries. AWESOME recipe. 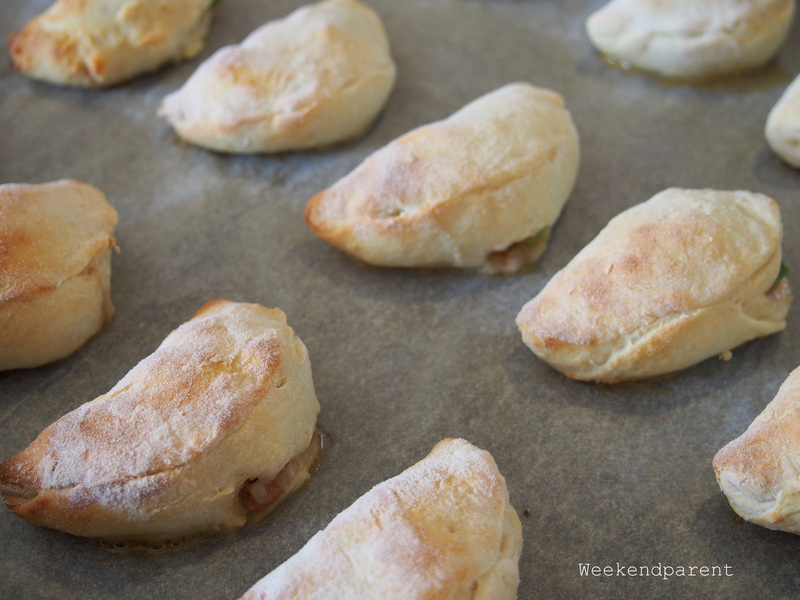 I love these quick and tasty eats. Cant wait to try your recipe.